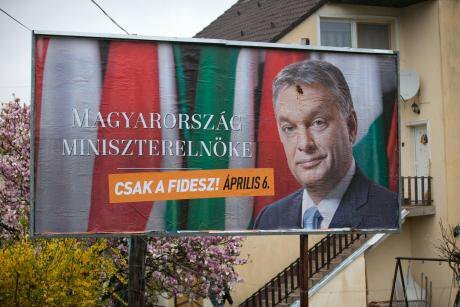 Viktor Orban and the rise of the populist right...right? Viktor Orban, like European populists in general, is neither of the right nor the left. He is a child of both. Demotix/Mark Kerrison. All rights reserved. Orban’s greatest achievement is his attaining status as a figure emblematic of contemporary European populism. Defined by the political theorist Margaret Canovan as involving “exaltation and appeal to the ‘people'” and by definition “anti-elitist,” populist movements are usually put into neatly self-contained boxes labeled “right-wing” (xenophobic, anti-intellectual elite) and “left-wing” (anti-market, anti-economic elite). But like European populists in general, Orban is neither of the right nor the left. He is the child of both. European nationalist parties are generally labeled as “right-wing,” but in many cases that designation should be qualified by admitting the presence of a strong but unacknowledged leftist bent in both rhetoric and policy. The majority of European populist parties are simultaneously right- and left-wing, rejecting both social and economic liberalism. The social and cultural stances of such parties as Marine Le Pen’s National Front, Gábor Vona’s Jobbik, and Geert Van Wilder’s Party of Freedom are right-wing, but each of these groups promotes an unequivocal, albeit unacknowledged, leftist economic program. It can be caricatured this way: socialism, but only for real Frenchmen, real Hungarians, and real Dutchmen. While the ostensible Left has performed poorly at the polls in both national and EU-level elections, leftismpermeates the populism of parties even on the Right. To speak bluntly but not hyperbolically, Europe’s right-wing populism smacks of a softened form of midcentury Fascism: intense nationalism wedded with a populist economic program. The moniker National Socialism thus remains a useful analytical tool for viewing European populism, not to equate contemporary populist parties with the German Nazi party, but to illuminate the significance of this very European melding of left and right. In a 21 August article in Foreign Policy, Amy Brouillette described Orban as having a “unique ability to read and respond to the public’s mood and political culture.” This statement could be expanded to characterize European populists in general. Whichever label they are given by journalists and intellectuals, populist parties prove that a bird flies best when able to flap with both wings.